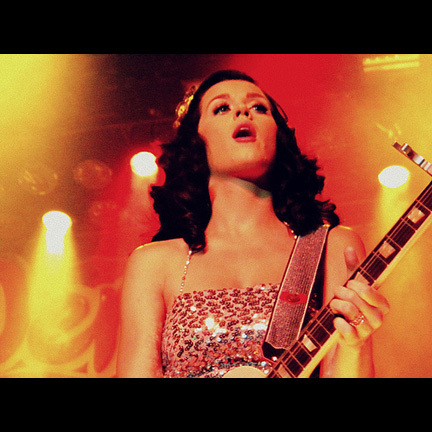 This silver sequin mini dress was worn by singer-songwriter Katy Perry during her August 29, 2009 concert held at the Hollywood Palladium located in Los Angeles, California. Ms. Perry wore the dress throughout a majority of the concert, which was part of her worldwide “Hello Katy Tour”, promoting her debut studio album One of the Boys. The show was unique in that it was taped and streamed live by SoundsofBuzz, a new music website partnership with Coca Cola. 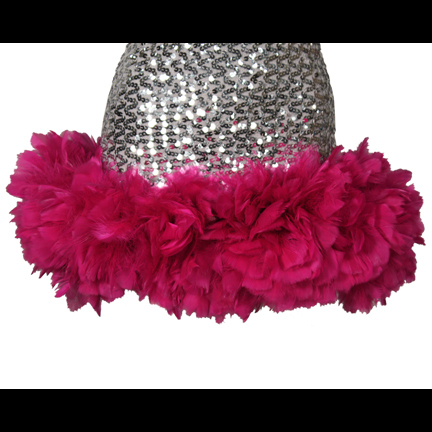 The dress is constructed of a sequined stretch fabric with a thick band of hot pink feathers stitched to the hem, and silver plastic chain straps, which were disconnected from the back and worn tied around Ms. Perry’s neck for the performance. The sequined hot pants worn under the dress during the concert were a separate piece and not connected to the dress. The dress is in very good stage worn condition, and is accompanied by a letter of authenticity from the costume house that supplied wardrobe to Ms. Perry for her performance.